Joinus at Rippon Lodge September 7-8 from 11am-4pm. 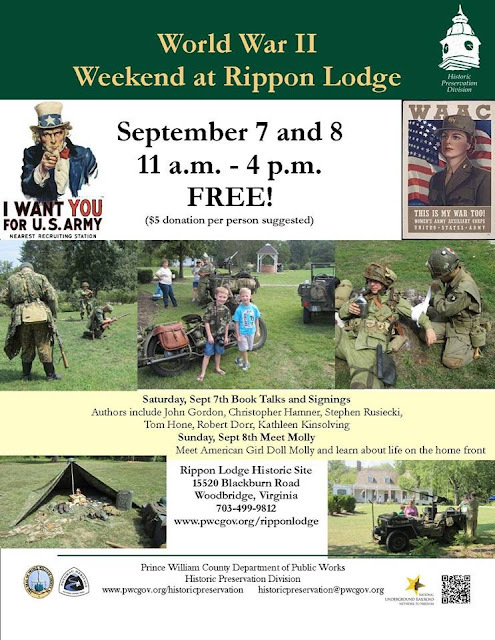 See military equipment, firing demo’s, jeeps, home front displays and more. On Satruday, join us for special book talks and signings. On Sunday, meet Molly from the American Girl Doll Series to learn about life on the homefront from a kids point of view. This is a FREE family event. Please call 703-499-9812 for a complete list of the authors and living history units attending.